Modern workplaces that have huge printing requirement turns to business printers with advanced technologies to complete their day-to-day office work. 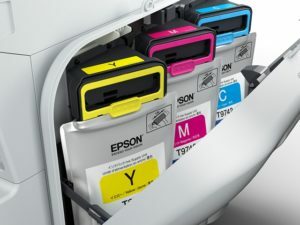 Among these cutting-edge technologies is the Replaceable Ink Pack System (RIPS), which is now integrated in some business inkjet printers. This technology provides the easy-to-use cartridge-based system and high volume printing capabilities. But the question now is: how else can business inkjet printers with RIPS help organizations improve their business operations? For businesses with huge printing requirements, speed and page yield are crucial to ensuring productivity. With RIPS, printing is made even faster and more convenient. 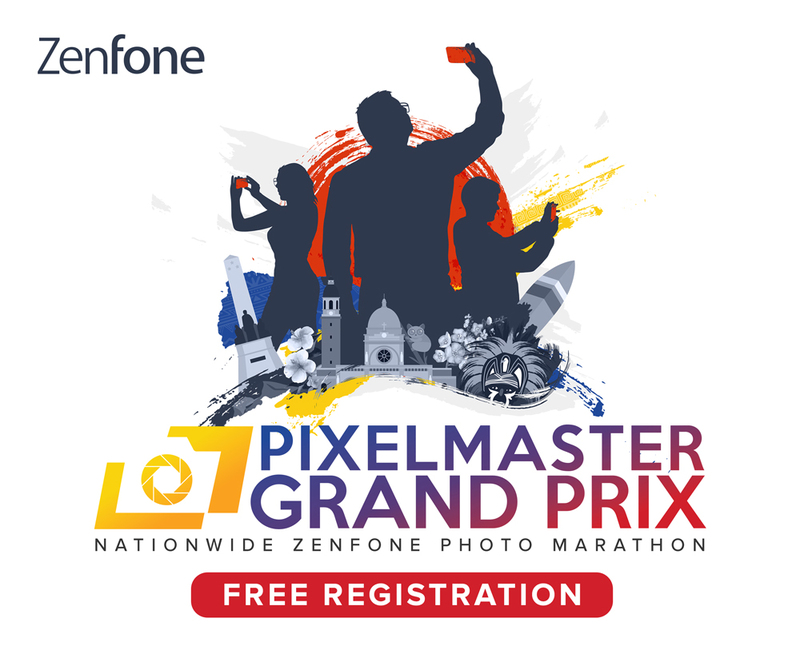 A regular inkjet printer can produce eight to 10 pages per minute (ppm); meanwhile, an inkjet printer with RIPS can produce up to 100ppm and more than 75,000 pages before timing out. For a better perspective, Epson’s WorkForce Pro WF-C869R with RIPS can print up to 86,000 pages in black and 84,000 pages in color without interruption. This inkjet printer has no warm-up time, allowing for a first-page-out time of fewer than six seconds. Its default print speeds is up to 24ppm and the draft speeds is up to 35ppm for both black and color prints. Epson WorkForce Pro Business Inkjet Printers also operate like laser printers. The PrecisionCore technology allows the paper to move around a stationary or fixed printhead. RIPS printers employ 11 printheads clustered together side by side. All of these 11 printheads ensure that the device can print excellently and more efficiently. It also eliminates the issue of using the conventional printhead and cartridge arrangement. Aside from quality printouts, the Epson Business Inkjet Printers with RIPS also tackles the complex paper-handling demands of businesses. With its flexibility features, each unit can handle different paper sizes and types. Epson RIPS printers can include more paper cassettes. For instance, WorkForce Pro WF-C869R comes with a rear feed slot, which can handle up to 85 sheets, as well as two cassettes, which can handle 250 and 500 sheets, respectively. The users may also opt to upgrade the unit and include two more optional cassettes, each can handle 500 sheets, and an additional cabinet placed at its bottom part. Overall, each unit’s total input capacity can be scaled up to 1,835 sheets. The most engaging advantage of inkjet printers with RIPS is that it costs less to operate and produces lower wastage. With ink refills supplied in soft foil packs, businesses can recycle more efficiently. This means that it is easier for organizations to demonstrate their conservational efforts and improve the sustainability of office printing that will leave a smaller carbon footprint. 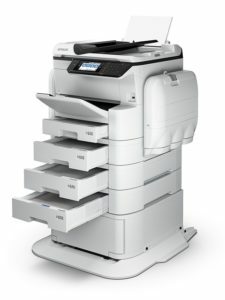 Furthermore, Inkjet RIPS printers, such as the Epson WorkForce Pro Business Inkjet Printers, use no heating elements and consume less energy than laser printers. And since they have a simpler mechanism with fewer periodic replacement parts, they require less effort for maintenance and with less downtime in business operations.